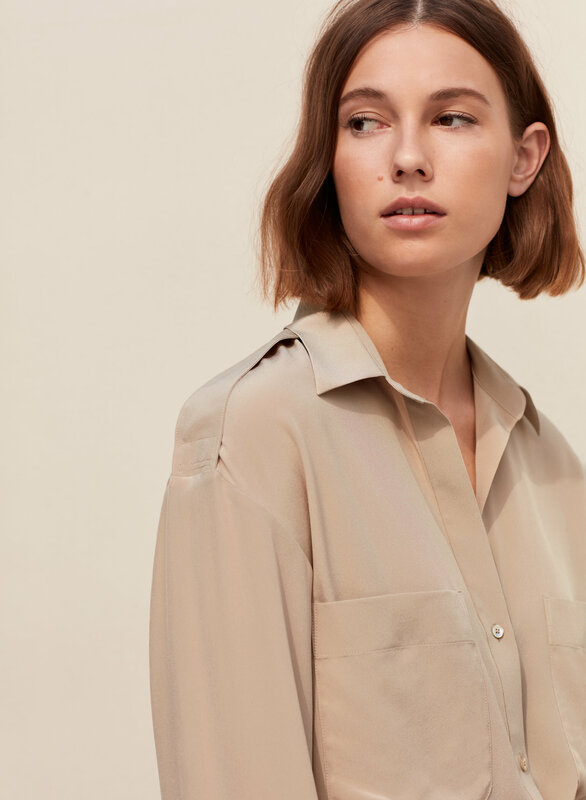 The utility shirt, elevated in pure silk crepe de chine. This textural fabric has a luxurious suede-like texture and drapes beautifully. Was excited to receive this item, but was disappointed with the fit and details. 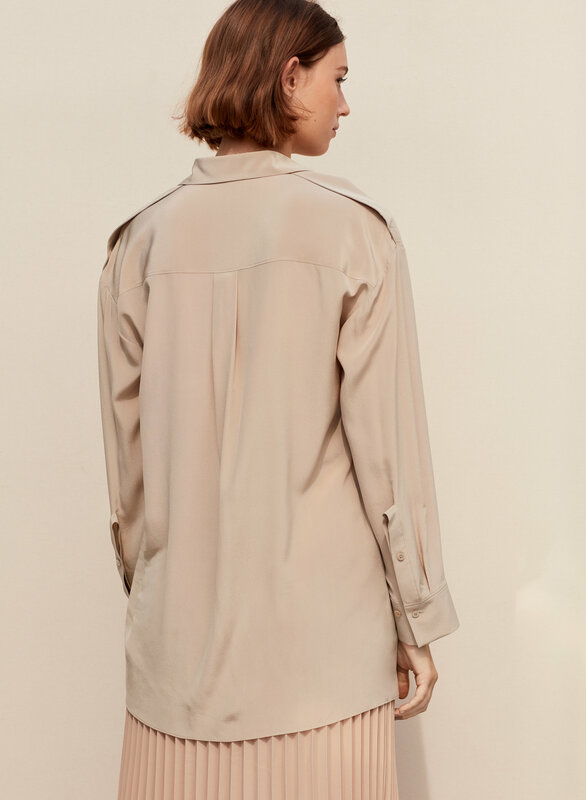 Showcased well in the images but extremely ill fitting and unflattering. 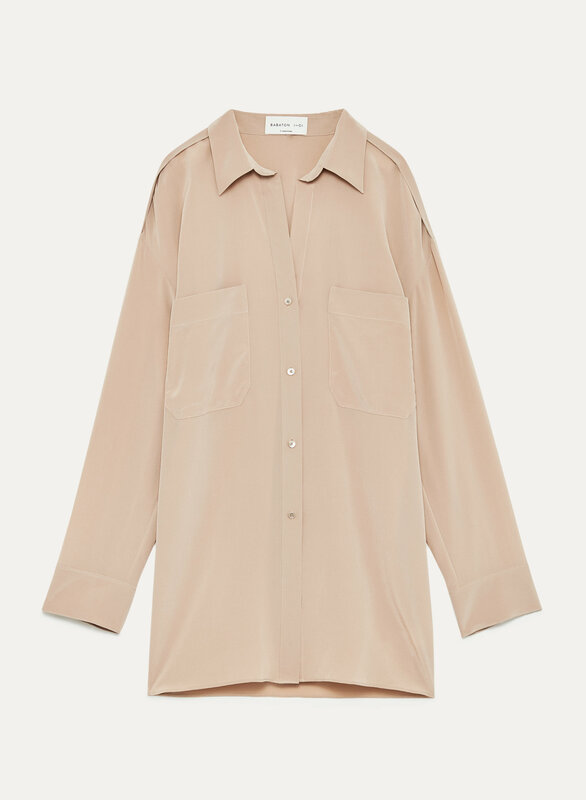 Although oversized is understandably drapery this shirt is very large, odd v neck and button placement. I was complemented all night on my shirt. It has a luxurious look and feel. Beautiful investment piece!